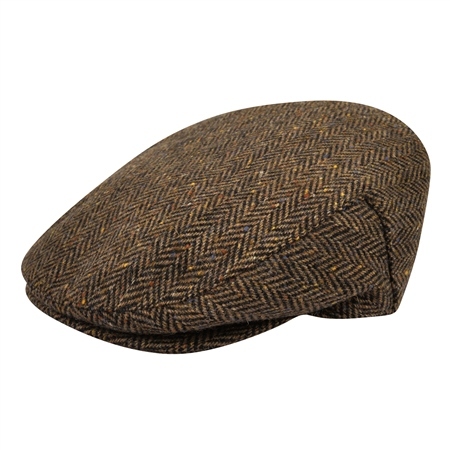 A Classic and versatile Donegal Tweed Flat Cap made from real 100% pure new wool fabric in a Herringbone pattern, the fabric has tiny flashes of colour that are naturally found in the Donegal countryside. Style it with one of our Donegal Tweed jackets. Use the chart below to determine which size (XS, S, M, L XLor 2XL) cap you should order.